As the child steps out of the home and enters the portals of a school for the first time, the experience is unusual. The child does not know what to expect and looks around for things and activities that he or she can relate to. The classrooms and activity rooms are colourfully designed to create a pleasant mood and a sense of comfort and ‘at home’ feeling. The toy room and the numerous toys provide comfort and soothe the child and relieve him/her from anxiety. The specially designed music room where the child learns the rhymes creates an ambience that stimulates the joy of learning. The initiation into serious learning is done so gradually and systematically, that the child does not find learning to be a burden, on the contrary, gets fully involved and actively participates in learning under the Primary Years Programme. The child learns to share and care for other children in the class and realizes the importance of group activity. There is an audiovisual room where the children watch interesting and educational films. There is an exclusive wing for daycare students to relax in the afternoon. Today, sports are not an aberration but an essential and integral part of school regime. Sports activities not only keep the students agile and active, to those who aspire, it may become a very lucrative career option too. Outdoor Sports infrastructure at Scottish High International School is among the best in the region. 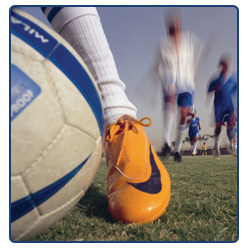 It has well maintained and separate playfields for Football, Cricket, Volleyball, and Basketball. 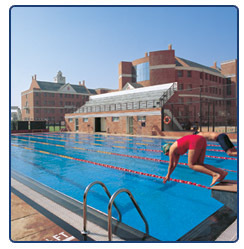 Quality training is also provided in athletics, track and field events in the vast playground of the school. To inspire and motivate the students, it hosts several competitions in various disciplines. Inter-clan competitions are held regularly to promote competitive spirit and sportsmanship. Renowned sports personalities in the country in various disciplines are associated with Scottish High and visit the school regularly. These guest coaches provide special training to students who hold a promise of shaping up into talented sportspersons. With dedicated efforts, many students have represented the state and country in various disciplines and brought laurels to the institution. All the budding talents are encouraged and rewarded. Life at Scottish High International School is a very interesting and engrossing one. Every hour of the stay is a new learning experience. Several leisure time activities are developed to keep students active and lively. 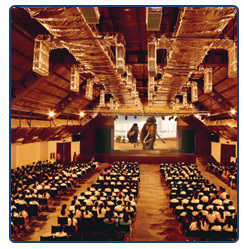 To host the major events and festivals, the school has designed a centrally air-conditioned auditorium that can provide comfortable seating for more than 1200 people. This multi-utility auditorium has the most modern audio-visual equipment for quality presentations. The acoustics are exemplary and help in clear transmission of sound to all corners of the hall. This mammoth auditorium is the venue for music, plays, cultural and literary fests, felicitations, parents meet and celebrations of various festivals and occasions of national importance. Using the modern facilities here the students are shown the latest movies and interesting educational documentaries. Eminent Educationists, Literatures, Academicians and Career Counselors as well as foreign dignitaries who frequently visit the school conduct seminars and guest lectures here. It is also the venue for various inter-clan competitions and inter-school competitions.